Rhode Island's governor has signed a bill to allow mobile sports betting. The General Assembly said Democratic Gov. Gina Raimondo signed it Monday. Rhode Island is the only New England state that allows sports betting. Currently, bets must be placed in person at the Twin River casinos in Lincoln and Tiverton. 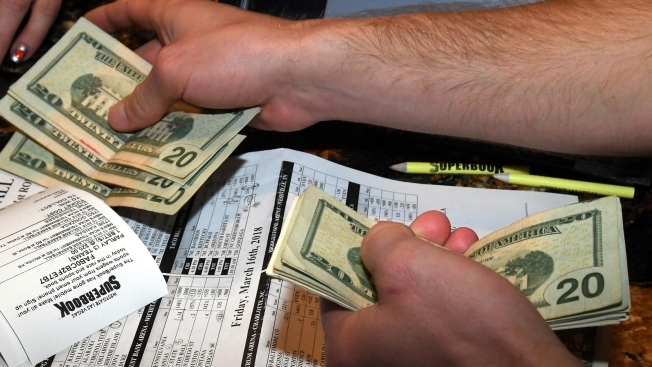 Democratic Senate President Dominick Ruggerio and Democratic House Speaker Nicholas Mattiello introduced the bill to generate revenue and make betting more convenient. "Expanding to mobile gaming would provide a convenient option for those wishing to enjoy this form of entertainment, and open up the economic benefits beyond the walls of Twin River," Ruggerio, a North Providence Democrat, said in the statement. "I can envision a group of friends from out of state spending an evening out in a local establishment where they can both watch the game and place a wager." The signing was expected. Raimondo's proposed budget for the fiscal year beginning July 1 is counting on $30 million from sports betting, including $3 million in new revenue from mobile gambling. Rhode Island legalized and launched sports betting after the U.S. Supreme Court struck down a federal law last year that made most sports gambling illegal. Some state lawmakers said during the debate over the mobile gambling bill they feared that unlimited access to sports betting could lead to more problem gambling. Others said the state should embrace the technology. The bill allows for the creation of an app to access the sports betting offerings through Twin River. Anyone placing a bet will have to be physically present in Rhode Island at the time of their wager. The state lottery estimates the app will be ready by November at the latest. Rhode Island will get 51 percent of the revenue from in-person and mobile sports betting.